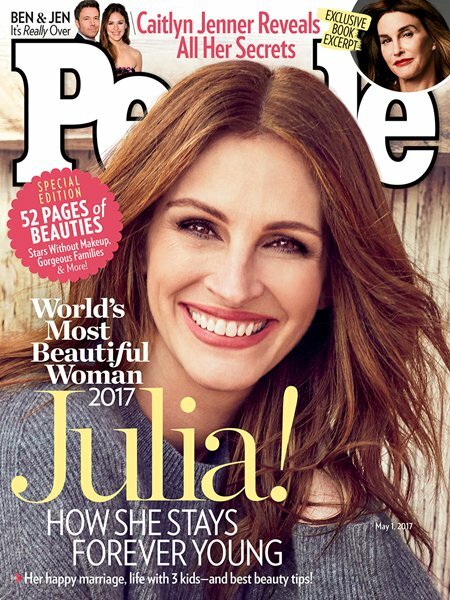 Julia Roberts was named People magazine's world's most beautiful woman in May 2017 issue. This is her fifth time of gracing the cover. She was earlier honoured in years 1991, 2000, 2005 and 2010. The 49-year-old is married with three children. Most beautiful woman at the age of 49? !